Mary Jo Romeo, CEO and Co-Founder of UP Business Communications, has over 25 years of unparalleled sales and leadership experience, predominantly in the media space. Mary Jo held senior management positions at a variety of media companies with an expertise in digital, traditional and integrated advertising. She held leadership positions at Mom365, BabyCenter, a division of J&J and The Weather Channel among others. Her passion for driving success in organizations through clear communication and powerful storytelling led her to launch UP in 2013. Mary Jo is also a Columbia University trained Executive Coach. Mary Jo is active in She Runs It (formerly AWNY), volunteers with St. Catharine’s Academy in the Bronx and sits on the Board of MICHA, the Michael Chekhov Acting Technique Association. Mary Jo taught advertising sales and marketing at NYU School of Continuing and Professional Studies and is a graduate of Penn State University. Ellie Heyman, CCO and Co-Founder of UP Business Communications, is an innovative communication coach, acting teacher, and theatre director. Ellie has taught at Brown University, Franklin & Marshall College, Boston University, among other notable institutions. Her production, The Traveling Imaginary, was included in the "Top 5 Shows of the Year" by NPR and her narrative podcast featuring Tim Robbins and John Cameron Mitchell, The Orbiting Human Circus (0f the Air) was rated #1 on iTunes and downloaded over 2 million times. Ellie works with “actors,” in the most literal sense of the word, meaning someone who takes action; someone who fully commits to speaking his truth within a given circumstance. Ellie guides corporate executives, Broadway and tv/film actors, and public figures to express themselves with clarity, freedom, and precision. 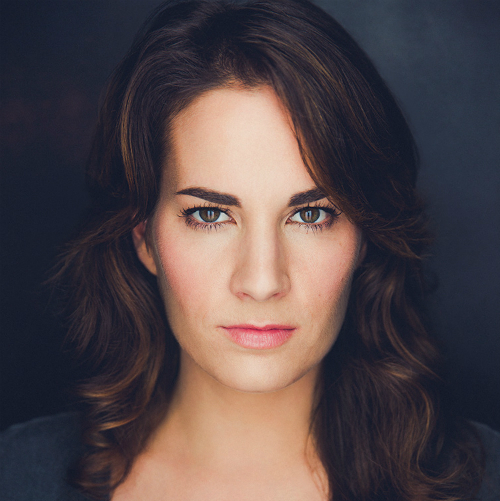 Ellie is a graduate of Boston University (MFA) and Northwestern University and is a Drama League Fellow. Laura Ramadei, Vice President of UP Business Communications, has made a career as a performer and producer across multiple platforms. While committed to elevating communication skills for executives, Ramadei's roots are in the arts. She is a founding member of The Nola Project in New Orleans, a Founding Producing Director of Lesser America, and the Director of Creative Development for the American Playwriting Foundation, which offers the nation’s largest single script playwriting grant, created in honor of Philip Seymour Hoffman. Laura's artistic projects have been featured in the New York Times, Time Out, Huffington Post, Gothamist, Jezebel, New York Magazine, The Atlantic, The Meredith Vieira Show and more. Laura has trained communication and presentation skills in the government and private sectors with CI International and Careerstone Group. Laura graduated with honors from NYU,Tisch and is a member of the Time Warner Foundation WP Lab. UP works with a network of trainers who excel in the UP Method. Modeled after the collaboration between the co-founders, UP trainers work in pairs for major workshops and as needed in coaching sessions. One trainer has extensive business experience while the other has expertise in human behavior and acting techniques. Together, they connect the dots between innovative teaching methods and real world application.